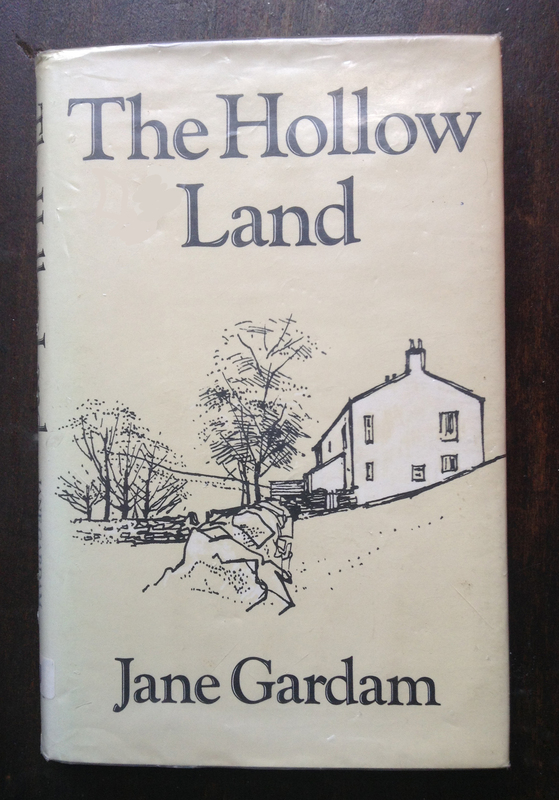 I’ve just finished reading The Hollow Land by Jane Gardam. I stumbled upon this book in a clear-out sale at my local library, having been attracted by Janet Rawlins’ sparse cover illustration. First published as a children’s book in 1981, the book is a series of linked short stories about two families in Cumbria; one a farming family, the other regular holiday-makers from London. Reminiscent of Alan Garner’s The Stone Book, Gardam’s stories are concerned with time and place, with the connections between generations and the land. If you’ve read any of Gardam’s work you’ll know that she is a flawless writer of prose, and a great observer of people. The gentle pace of these stories draws you into the lives of the families, with a focus on the two youngest boys – Bell and Harry – and their engagement with The Hollow Land (a title drawn from the writings of William Morris). Gardam writes eloquently about continuity and change, about belonging and being in place, about the past and possible futures. From the stone circle high in the hills, to the bronze age burial by the bridge, to the ghostly mother searching for her son, through childhood adventures and near-disasters, to a post-peak oil existence, Gardam guides us through the hills and the ages with a perfect footing.